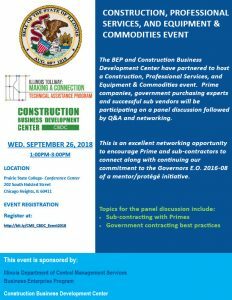 Prairie State College Conference Center, 202 S. Halsted St.
Illinois Tollway Technical Assistance Workshop: Equipping Businesses for Success | Tuesday, February 26, 2019, 11 a.m. to 2 p.m. 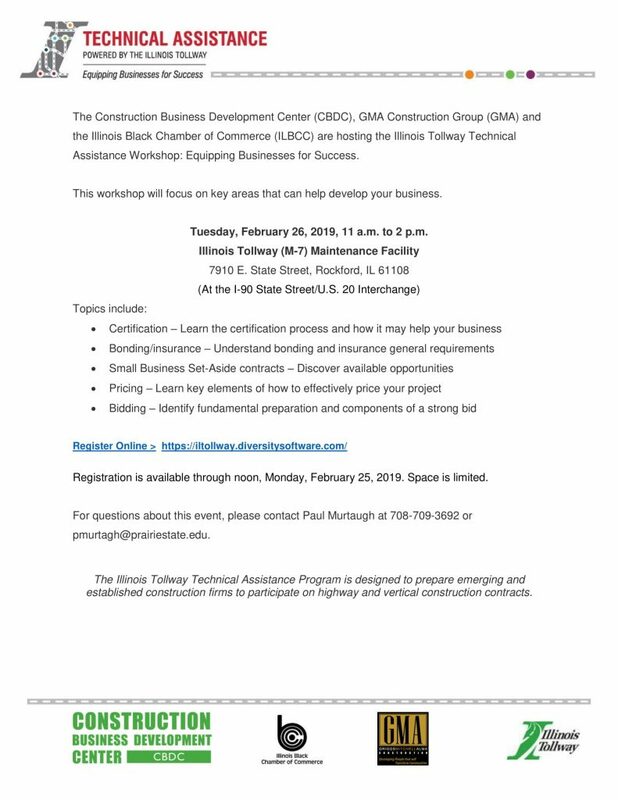 The Construction Business Development Center (CBDC), GMA Construction Group (GMA) and the Illinois Black Chamber of Commerce (ILBCC) are hosting the Illinois Tollway Technical Assistance Workshop: Equipping Businesses for Success. Tuesday, February 26, 2019, 11 a.m. to 2 p.m.
Rock Valley College Stenstrom Center, 4151 Samuelson Rd.